Distribution: Confined to Kosciuszko National Park in New South Wales, Australia. Habitat: This species is found in sphagnum bogs, wet tussock grassland, wet heathland and the surrounding montane and sub-alpine woodlands in the sub-alpine region of the Australia’s Snowy Mountains. 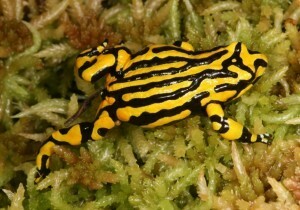 Threats to survival: The disease Chytridiomycosis is the primary threat to this species. Prolonged drought and climate change are other potential threats. 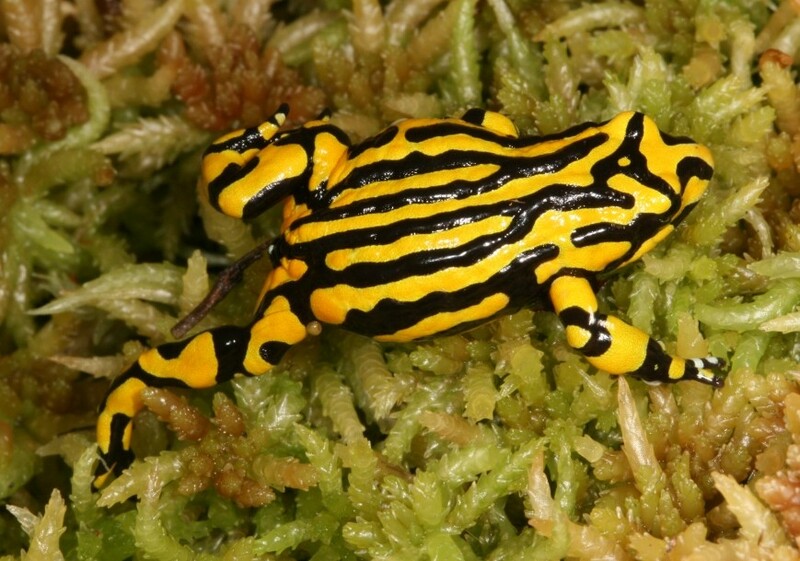 Reproductive behaviour: The male makes a terrestrial nest in the sphagnum moss above the edge of a pool during summer, where multiple females may come to deposit eggs. The autumn rains or early snow melt flood the nest area, allowing the well-developed tadpoles to hatch and enter the pools. Interesting natural history notes: This species has no known predators due to its toxic skin secretions. Not only does it obtain pumiliotoxins from its diet, the same alkaloid in the dendrobatid frogs of Central and South America, it also produces its own poisonous alkaloids, pseudophrynamines. In situ projects currently underway: Currently, the remaining population (suspected to be less than 150 individuals) are monitored every year by the New South Wales Department of Environment, Climate Change and Water. 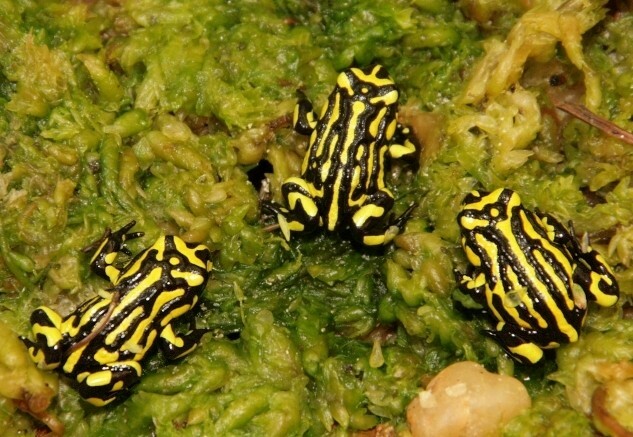 Additionally, artificial chytrid fungus-excluding ponds are being trialled in the field to rear the eggs to metamorphosis in an environment free of the disease. Ex situ programs: A large, genetically-diverse captive population has been established for this species as a collaborative effort over a number of institutions, including the Amphibian Research Centre (www.frogs.org.au), Taronga Zoo (www.taronga.org.au), Melbourne Zoo and Healesville Sanctuary (www.zoo.org.au). 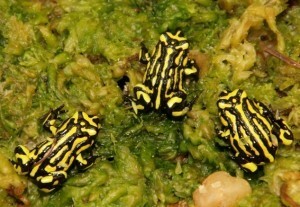 Experimental reintroduction has been undertaken using eggs and mature adults.